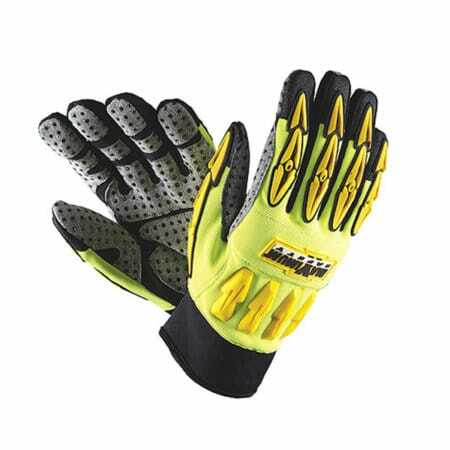 Journeyman Impact Protection Hi Vis Leather Gloves. Full Cut 5 and heat resistant para-aramid liner for maximum safety. Made from premium materials for maximum safety & performance. 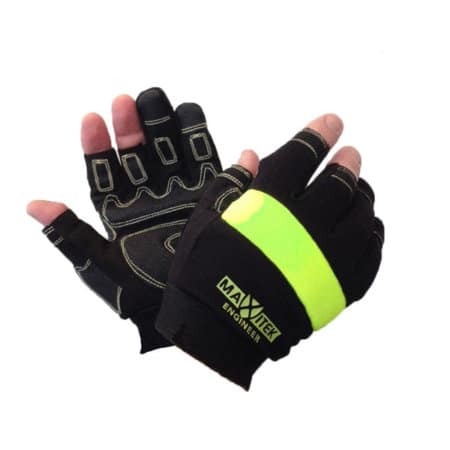 Top grain Cow leather is re-enforced on the palm & ﬁngers and a full para-aramid high Cut level E (ISO 13997) and heat resistant liner has been designed into the glove to give 360° cut protection to the entire hand and fingers. 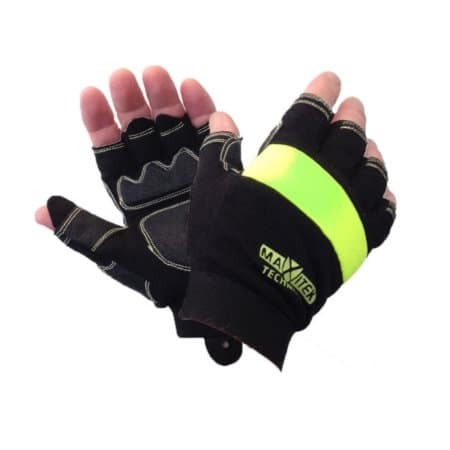 High Vis TPR protection has been added to the back of hand & fingers for pinch point, crush & Impact reduction. High Grade supple & liquid resistant Leather palm. TPR moulded crush & impact protection to fingers & back of hand. Kevlar Matt Thumb crotch reinforcement and grip enhancement. Hi Vis Palm for signalling. Heavy Duty Riggers glove. Cow leather, Spandex fabric, TPR Moulded fingers & back of hand. Para-aramid liner. 360° Cut 5 rated. Sizes M – 2XL, 6 pairs per pack, 36 pair Carton.